In honor of the Mets planning to move the fences in at Citi Field for the second time since the stadium opened in the historic year of 2009, I decided to conduct some interviews for a brief oral history of the stadium’s fences. RIGHT-CENTER FIELD FENCE: I was pretty happy when Citi Field opened and I was 415 feet from home plate, since I’m scared of the ball. It’s tough to grow up as a fence scared of balls hitting me, but I figured I lucked into the perfect job being so far away, and in a stadium where Mets players would be doing most of the hitting. Luis Castillo was my favorite player back in those days, though who couldn’t help but be a fan of Alex Cora and the 308 plate appearances he got that year, slugging .310? My life was pretty perfect, except for the fact that I lived in Queens, until after the 2011 season, when it seemed like everything was going to change. THE FAMOUS HOME RUN APPLE: You know, the Mets are one classy organization. Most teams, when building a new stadium, would just send guys like me packing. But the Mets, although they intended to get rid of me, were eventually swayed by the fans and put me in a lovely spot sort of near the subway station. It’s pretty neat over there. I get a lot of mustard thrown on me though. I was pretty psyched to be close to the stadium that first season, before they moved me. And then they moved the fences in, so I was even farther away from the action. Wait, this is about fences, not apples– why are you interviewing me? LEFT FIELD FENCE: Thirteen feet. They uprooted me so they could move me thirteen feet back in 2011. At least I wasn’t the Right Field fence, which got moved three feet. That’s pretty ridiculous, making a fence give up everything it knows, the dirt at its feet, to move thirty-six inches. Sometimes it’s almost like the team has no idea what it’s doing. RIGHT-CENTER FIELD FENCE: So, yeah, from 415 feet to 390 feet, after the 2011 season. And I was quaking in my planks. But I should have remembered– it’s the Mets! So, sure, Ike Davis scared me a few times, but a third of the regular lineup in 2012 was Ruben Tejada, Josh Thole, and Andres Torres, so, uh, it was still okay to be me. But now they’re saying they’re moving me again? LEFT FIELD FENCE: They say they’re not moving me this time, but maybe I want to move! Maybe I want to move to a different freaking stadium. Oy. THE FAMOUS HOME RUN APPLE: My son, the current apple, is getting so fat because he never gets to exercise. He rarely gets to pop out of that hat. He’s totally out of shape. And I think he has worms. STADIUM ARCHITECT: Hey, any more communities looking for downtown revitalization and don’t want to read the studies showing that a stadium really doesn’t make much difference? Because if you just want the prestige of a sports team without worrying about economic impact, I have some awesome new features I’d love to tell you about…. RIGHT-CENTER FIELD FENCE: Yes, Elvis Andrus would be a perfect addition to the team, totally. Alcides Escobar, too. What’s Luis Castillo up to these days? 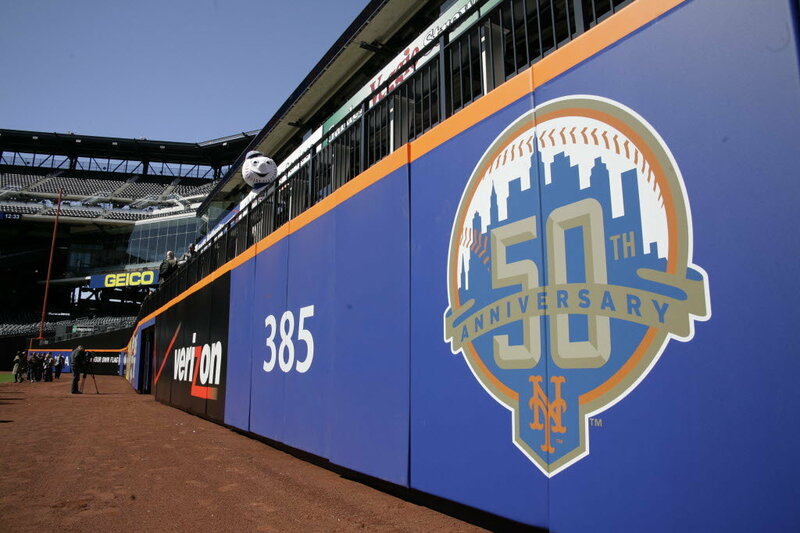 We hoped you liked reading Oral History of the Citi Field Fences by Jeremy Blachman! Not even a mention, Mr. Right-Center Field Fence? Really?